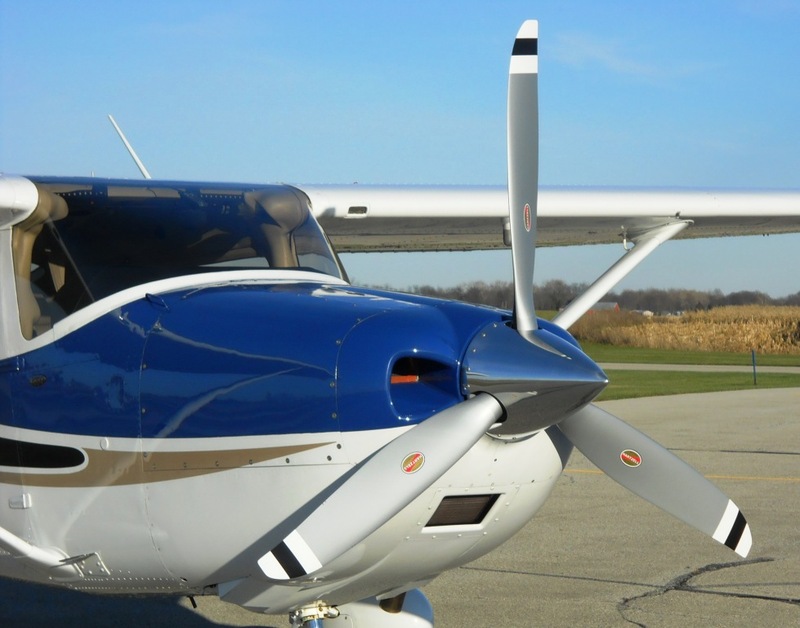 Piqua, Ohio, April 8, 2014 – The European Aviation Safety Agency has validated Hartzell Propeller’s Supplemental Type Certificate for installation of its three-blade Top Prop conversion kit for Cessna R182, FR182, TR182, T182, 182S, 182T and T182T Lycoming-powered models. The new Hartzell Propeller Top Prop kit improves performance, increasing the value and utility of these iconic aircraft. The 82-inch diameter, blended airfoil, Scimitar blades have successfully proven themselves in various flight regimes since Supplemental Type Certificate approval by the Federal Aviation Administration in 2012. The kits are available with compatible prop ice protection. Compared to standard propellers, the kit improves climb performance by 8.5 percent, and cruise performance by 2-4 knots or even more at altitude. In line with FAA and international standards, the prop’s noise emissions are at a globally accepted level of 77.5 dB(a). Available directly from Hartzell or through Hartzell’s Top Prop dealers, the 2014 list price for these kits, which include the new propeller, new polished, pointed aluminum spinner, and the STC, is from $11,700 to $13,000, depending on model and ice protection equipment. The new propellers carry Hartzell’s Plus3 warranty, which delivers three years or 1,000 hours of coverage, and has a six-year/2400-hour TBO.